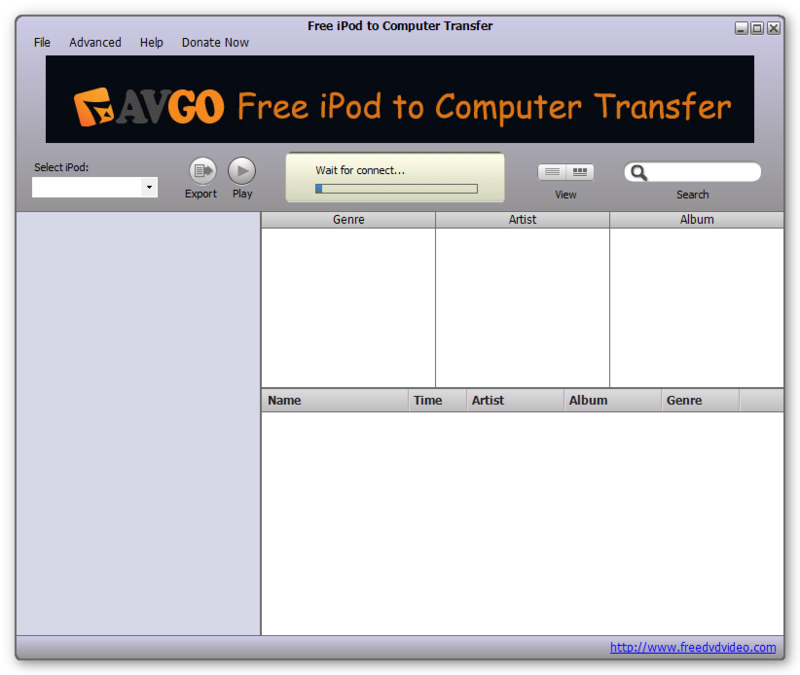 AVGo Free iPod to Computer Transfer is a backup utility software that can help you transfer the files (music, videos, etc.) from your iPod to your computer. The rise of portable devices, more specifically the iPod, has forever changed our lives. We understand how important those data on your iPod are and we highly recommend that you backup your files from time to time. AVGo Free iPod to Computer Transfer software is a top-rated iPod to Computer backup utility software for this kind of job. It is very easy to use, with just a few clicks and all your favorite music, movies, videos, etc., will be copied from iPod to computer. Most of us purchased our iPod music collection from Apple Store and losing these files is rather frustrating and very costly. AVGo Free iPod to Computer Transfer program not only saves you from that depressing situation because it has “transfer music from iPod to computer” capability but most importantly, we give you our software for free. Now, that is incredible savings to start up your vacation or special project fund and that is truly a win-win situation! Today is the best time to backup your files, download AVGo Free iPod to Computer Transfer now and prevent your money from going down the drain. This program is fantastic. It's easy and it's amazing. TWO THUMBS UP!! YOU GUYS ARE SAINTS! THANK YOU SO MUCH!! Amazing! Seems too good to be free but the creators must be saints or something. Own this amazing free software, my songs in iPod and iPhone get safer!